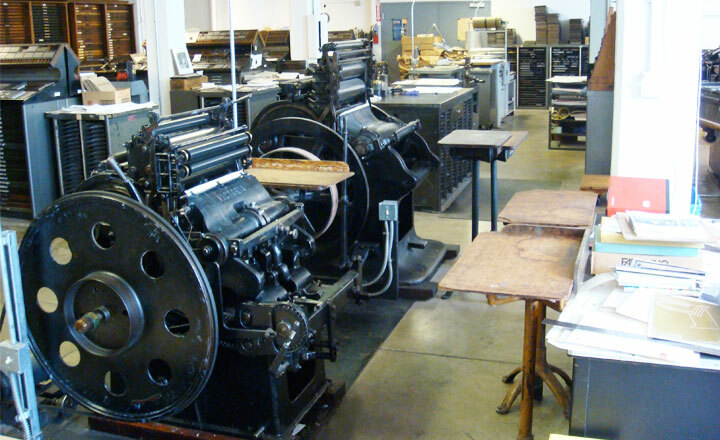 Demonstrations of the historic printing and bookmaking facilities of Arion Press and the historic typefoundry of M & H Type are held Thursday afternoons at 3:30 p.m. and last approximately an hour and a half. Price: $10. The gallery featuring a rotating exhibition of Arion’s latest projects, is open free to the public Monday through Friday, from 10-5, or by special appointment. 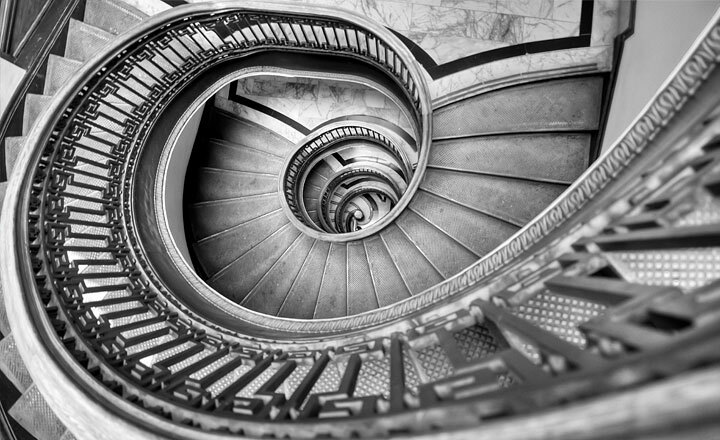 A member-supported general-interest circulating and research library in San Francisco that boasts the oldest chess club in the United States and an active program of literary and cultural events. Located at 57 Post Street. 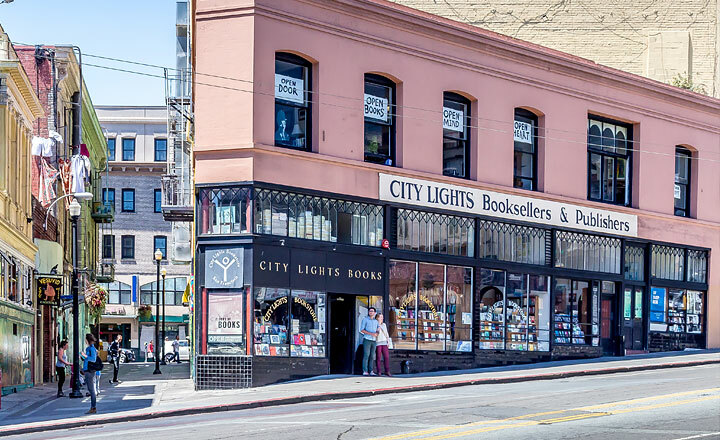 Located at 261 Columbus Avenue, San Francisco’s City Lights is a literary landmark, founded in 1953 by Beat poet Lawrence Ferlinghetti and Peter D. Martin. 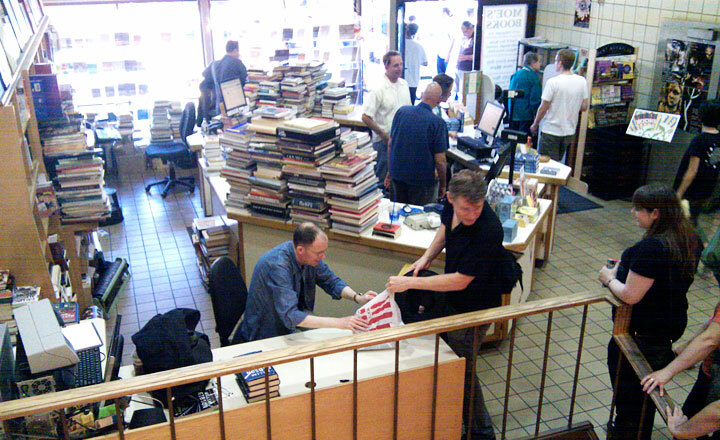 Visitors are ever hopeful to catch a peek at Ferlinghetti, whose new book, Little Boy, will be published on his one-hundredth birthday this March.